Céline's designs are distinctly feminine and French. Timeless, elegant designs mesh with playful, modern twists to create a look that is perfect for today's woman. Favoured by fashionistas and celebrities alike, Céline sunglasses are a beautiful and fashionable way to protect your eyes from the harsh UV rays. Shop for Céline sunglasses here and find the perfect pair to complement your style. Céline is a luxury French fashion label known for their classic designs. The brand was founded in 1945 as a children's wear designer, but quickly shifted gears and became the high-end designer of sophisticated styles for women we know today. Céline sunglasses manage to combine a pared-down, almost effortless design aesthetic with an eccentric, unique twist. Clean, modern styles meld perfectly with vintage influences making Céline sunglasses the obvious choice for the 21st-century woman. Céline sunglasses have been spotted on some of today's hottest celebrities, so why not join them and don your own pair of chic Céline sunglasses? Mister Spex has got a fantastic selection of Céline sunglasses to suit every woman's aesthetic. Of course, sunglasses are not just a fashion accessory for the summer. We need sunglasses the whole year round to protect our eyes from the harmful effects of the sun. Included in the price of every pair of sunglasses from Mister Spex are our durable, tempered lenses. These tinted lenses protect your eyes from potentially damaging UV rays and also block out glare and reflection. Paired with fashionable Céline frames, you are sure to look and feel fabulous whether it be on the beach in the summer or at the ski lodge in winter. Face shape: One of the best ways to find a pair of sunglasses that flatters is to use our face shape filter. Determine whether your face is oval, square, round or heart-shaped and click on the corresponding filter. Now you can see which Céline sunglasses our experts believe will look best. Frame shape: Céline sunglasses come in a variety of shapes. Is classic cat-eye a la Audrey Hepburn your style? Activate the cat-eye filter to see what Céline has to offer. Would you prefer something square? Activate as many shapes as you are interested in to see which Céline sunglasses you may like, or know look will good on you. Shop by material: Do you prefer metal frames or are plastic frames more what you are looking for? Our online Céline collection has got both! Choose a frame colour: This filter is particularly helpful. Do you know what colour you want your new sunglasses to be? Choose from always-classic black and brown for a look that never goes out of style, or be more adventurous with red or multi-coloured frames. Céline is always playing with colour, so why not try something new? Prescription lenses:Do you want your Céline sunglasses to have prescription lenses? Not all frames can handle them, so use this filter to see which Céline sunglasses can be fitted with prescription lenses. Play around with the filters. You are, after all, shopping from the comfort of your home, so take your time and have fun! 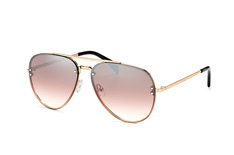 Of course, it would be nice to know what a pair of Céline frames will look like before ordering them online. We at Mister Spex have thought of this and that is why we have come up with our online fitting tool. This is an innovative and easy-to-use way to really help you find a perfect pair of Céline sunglasses. All you need to do is click on the pair of Céline sunglasses you'd like to try on, click on the camera icon in the photo list and then take a picture with your webcam or upload a portrait, and within seconds the image of your chosen Céline sunglasses will be superimposed upon your face in the picture. This is a wonderful way to get a clear idea of what that particular pair of Céline sunglasses will actually look like on your face. Since you are shopping online, you can "try on" as many pairs of gorgeous women's sunglasses from Céline as you want without ever leaving your four walls or worrying about opening hours. Now that is truly convenient. Wearing a pair of Célines is not only about shielding your eyes from harmful UV rays and glare: Céline sunglasses are a statement. Wear them and tell the world you value artistic design and understand modern trends. Whether your personal style is retro with a modern twist, simple and sleek, or playful and fashion-forward, browse our online collection of sunglasses from Céline to find a pair that helps you express yourself. Choosing Mister Spex for your online shopping needs really does save you time, hassle and money. You can peruse our Céline collection from your home, whenever you please. Our filters and our virtual try-on feature help you find a perfect pair. Ordering is fast and easy, and our prices are always competitive. Delivery of your new Céline sunglasses is fast and, best of all, free for all orders of at least £29.00. If you are not completely satisfied with your new sunglasses after receiving them, we understand. Just return your Céline sunglasses within 30 days of receiving them and we will issue a full refund. 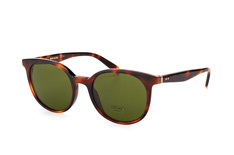 Buy Céline sunglasses from Mister Spex today!